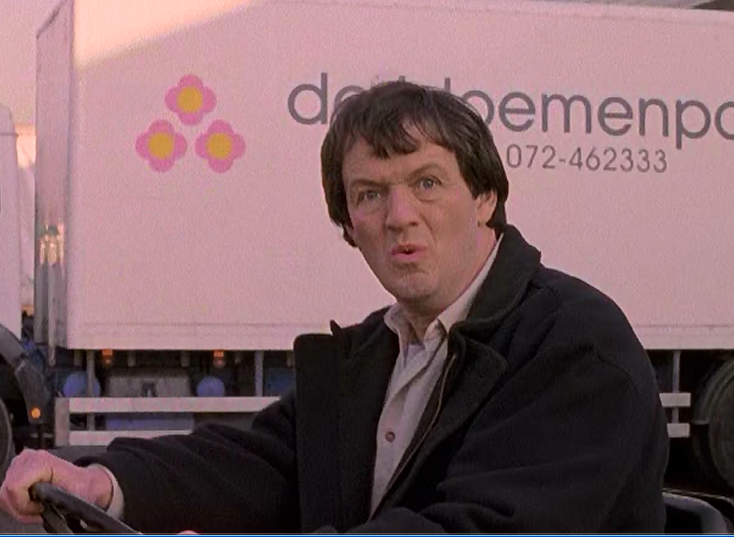 Although perhaps best known as the beloved Inspector Lewis, actor Kevin Whately has also starred in other detective series. In The Broker's Man, he plays a former cop who now works as an investigator for insurance companies. While he's a dogged investigator determined to get to the bottom of every case, his personal life gets much less attention from him. As the series (originally broadcast in 1997) opens, Jimmy Griffin's life seems to be unraveling before him. He's divorced from his wife and she's none too happy about his spotty child-support payments. Griffin's investigatory work often takes him out of the country, and his payment for various jobs can be late or disappear altogether. The Griffin's marriage fell apart when his wife, Sally, discovered he was having an affair with Gabby, who works at the big insurance agency that hires Jimmy to investigate before they pay out on claims. Gabby is still around, which dampens Jimmy's efforts to get back together with his wife. Sally also got the house in the divorce, so Jimmy lives on his boat. Three episodes make up Series 1. Double Dutch concerns the theft of a shipping container full of DAT tapes. The thieves make contact and offer to sell the stolen tapes back for less than the insurance company would have to pay out for the loss. Jimmy is hired as the go-between, dropping off the money in exchange for finding out where the tapes are being kept. When you're dealing with ruthless criminals, however, not everything goes as planned. The second episode, Dangerous Bends, finds Jimmy embroiled in several investigations at the same time. Is the elderly lady really being truthful when she says she fell and was injured at the shopping mall? It would probably be easier to believe her if she could remember in which mall she suffered the injury. Then there's the case of the fatal motorbike-car collision, where the motorbike driver ran off after the accident. Jimmy is trying to investigate those issues when he's hired "exclusively" to look into how a chemical company accidentally introduced a dangerous chemical into a town's water supply. Not only does the accident seem fishy, but so does the willingness of the chemical company to accept blame. At the same time, Griffin is dismayed when his 14 year old daughter begins dating a 17 year old boy. In Siege, the last episode of this series, Griffin once again has to juggle multiple personal and professional responsibilities. Jimmy is investigating a car theft ring who steals cars from people who are in danger of having them repossessed. If the insurance company will pay for the stolen car, the delinquent owners will get some money out of the deal and avoid having a repossession on their credit history. Many people are taking advantage of this kind offer, so Jimmy is trying to track down the gang. Meanwhile, he jumps at the chance to go on vacation with his ex-wife and kids and "leave the job behind" for a few days. Naturally, the jobs keep coming to him. He's given the task of investigating the theft of two pistols in the same area he is vacationing in. The son of the man who reported the pistols stolen denies any theft has occurred, but he does ask for Jimmy's help in tracking down an old acquaintance. Unfortunately, the man's motives aren't as innocent as they appear. Jimmy is ably assisted in his work by Harriet and Vinny, who put in long hours to do the legwork on the cases. Vinny is an ex-cop who owes Jimmy, and Harriet seems to be married to the job (although she does keep an eye open for any hunky men she might encounter in the course of a case!). I really enjoyed the interaction between Jimmy and his assistants, although the back and forth between his wife and former mistress is a bit of a strain. There was a second series, so I'd love to see what happens with Jimmy's tangled personal and professional life! 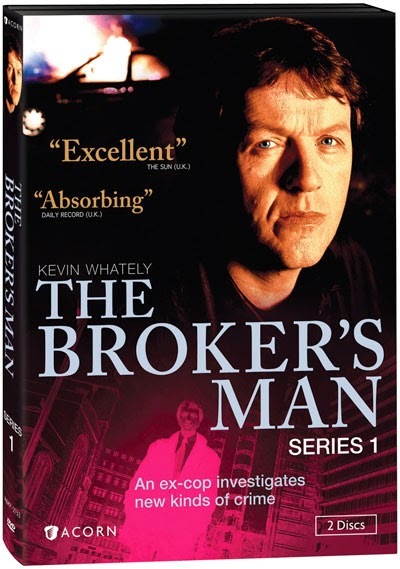 Disclaimer: I received a copy of The Broker's Man: Series 1 from Acorn Media in exchange for this review.